Rhona Hoffman Gallery is not currently accepting unsolicited artist submissions. 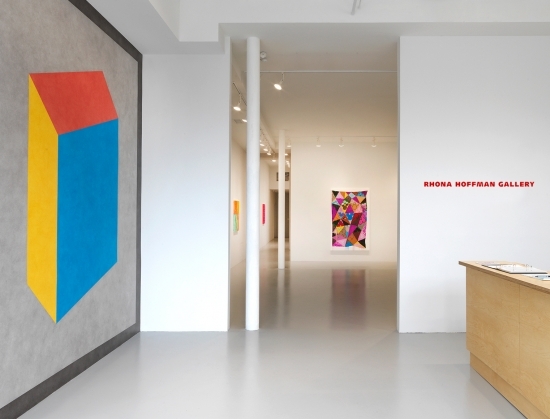 Rhona Hoffman Gallery, founded originally as Young Hoffman Gallery in 1976, specializes in international contemporary art in all medias, and art that is conceptually, formally, or socio-politically based. From its inception, the gallery has launched emerging artists’ careers. In the seventies, Young Hoffman Gallery was one of the first galleries to offer exhibitions to women artists including Cindy Sherman, Barbara Kruger, Jenny Holzer, and Sylvia Plimack Mangold. Since 1983, when Rhona Hoffman and Donald Young announced the establishment of separate galleries, Rhona Hoffman Gallery has continued to show young and emerging artists alongside established ones. Among the artists the gallery has exhibited and/or continues to exhibit are Vito Acconci, Spencer Finch, Luis Gispert, Leon Golub, Robert Heinecken, Jenny Holzer, Barbara Kruger, Sol LeWitt, Gordon Matta-Clark, Robert Ryman, Fred Sandback, Lorna Simpson, Nancy Spero, Richard Tuttle, Brian Ulrich, Carrie Mae Weems, and Kehinde Wiley.